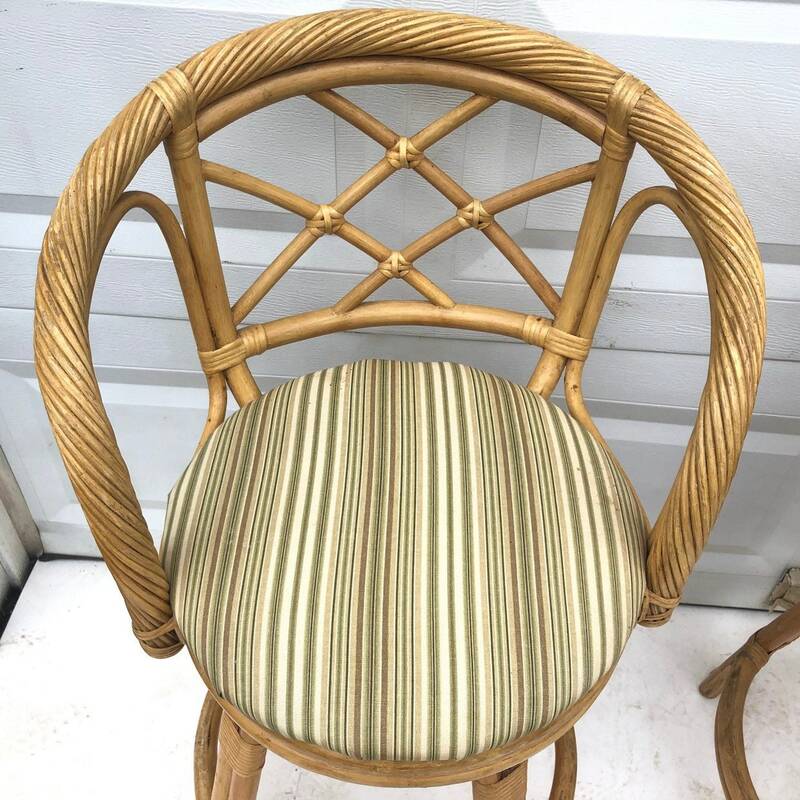 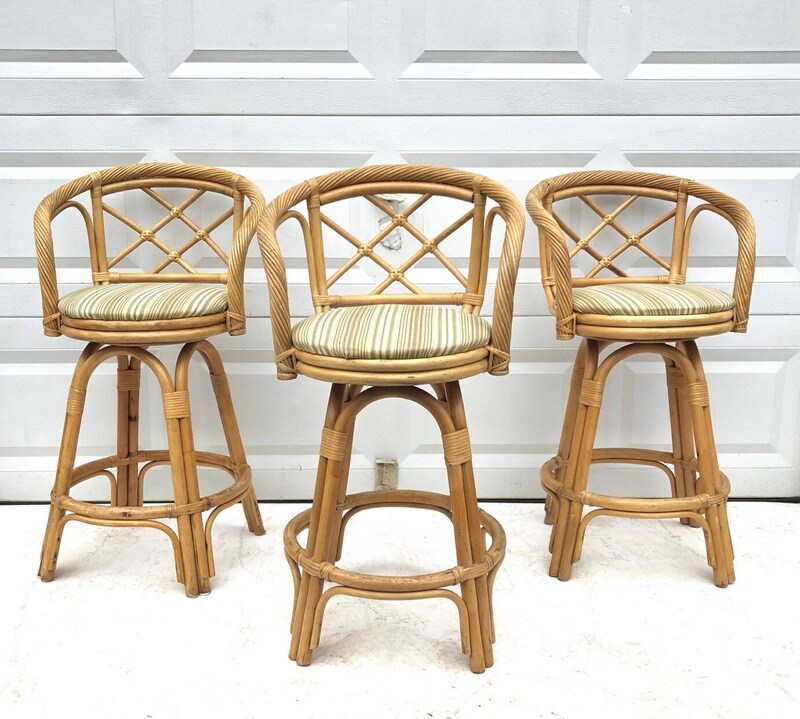 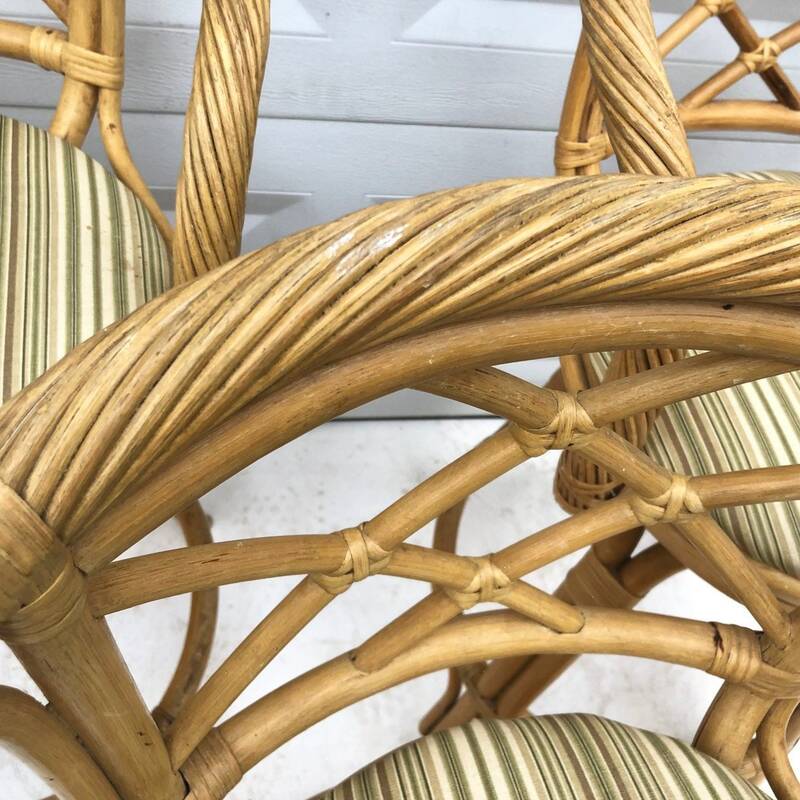 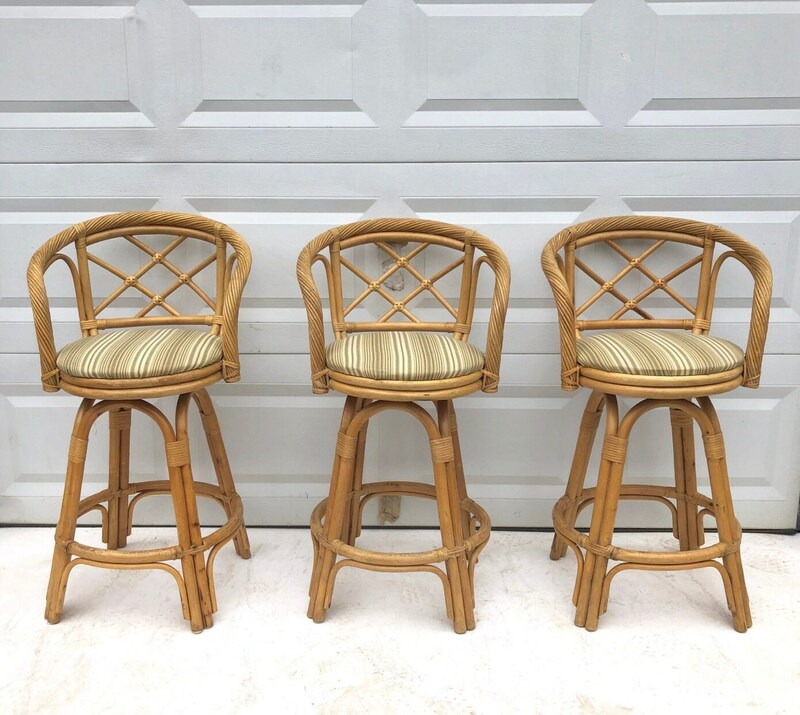 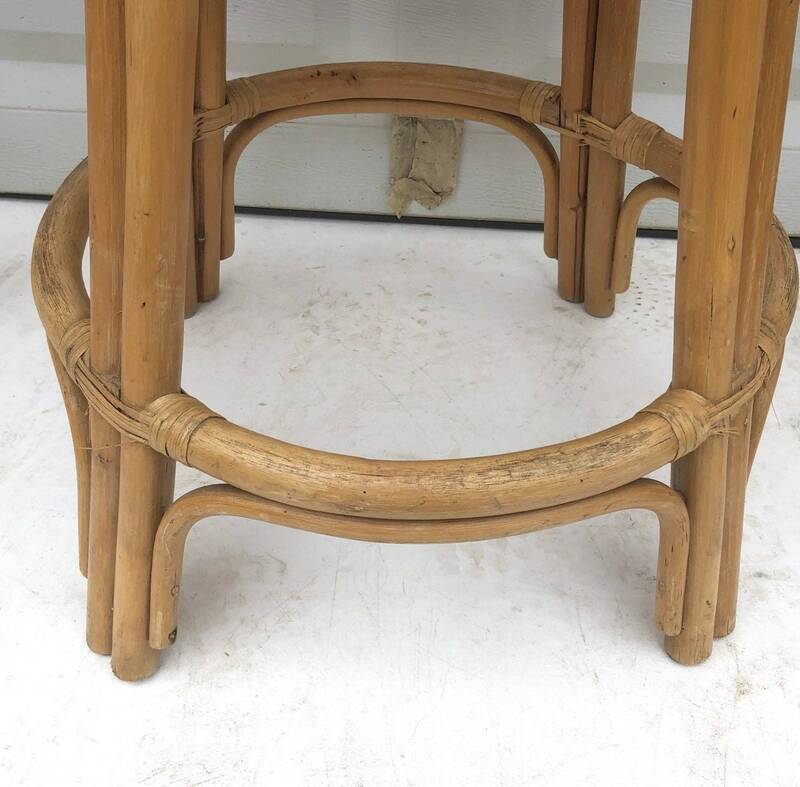 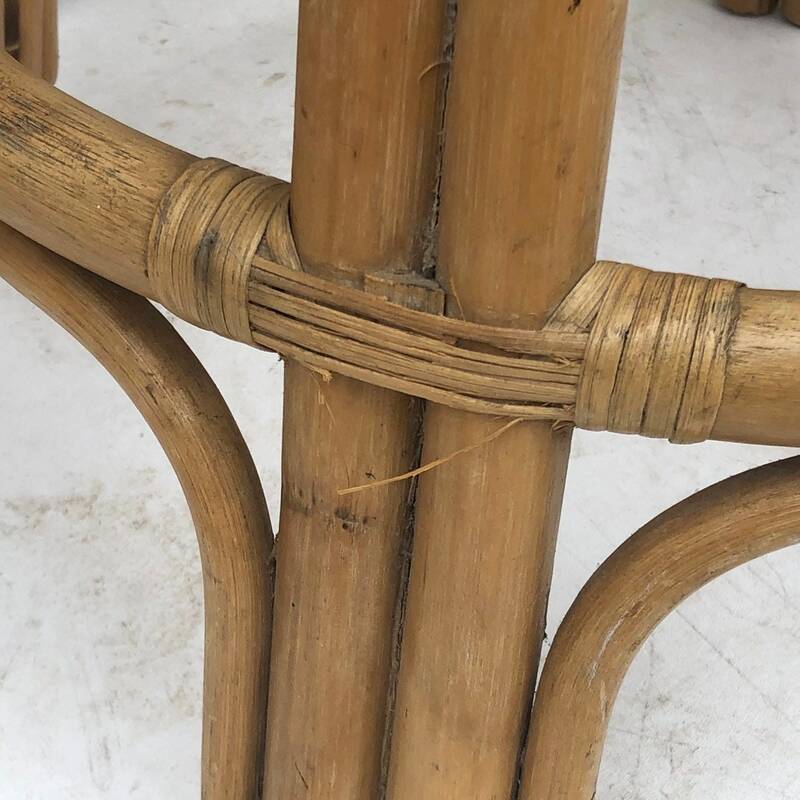 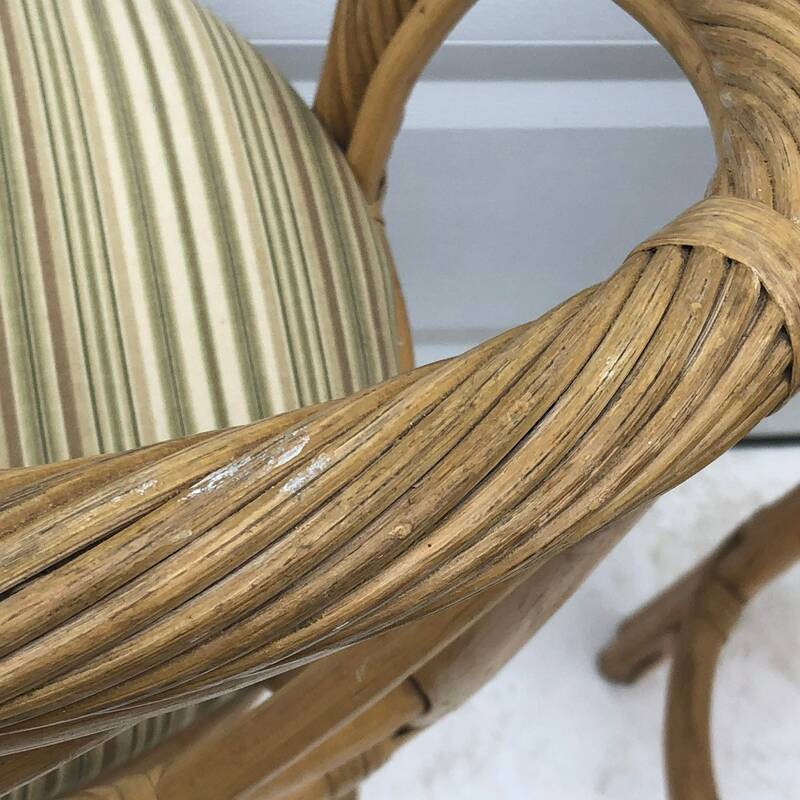 Set of three vintage boho counter stools feature faux bamboo style frames and comfortable padded seats, sturdy stools with foot rest/stretcher is perfect for home or business counter seating. 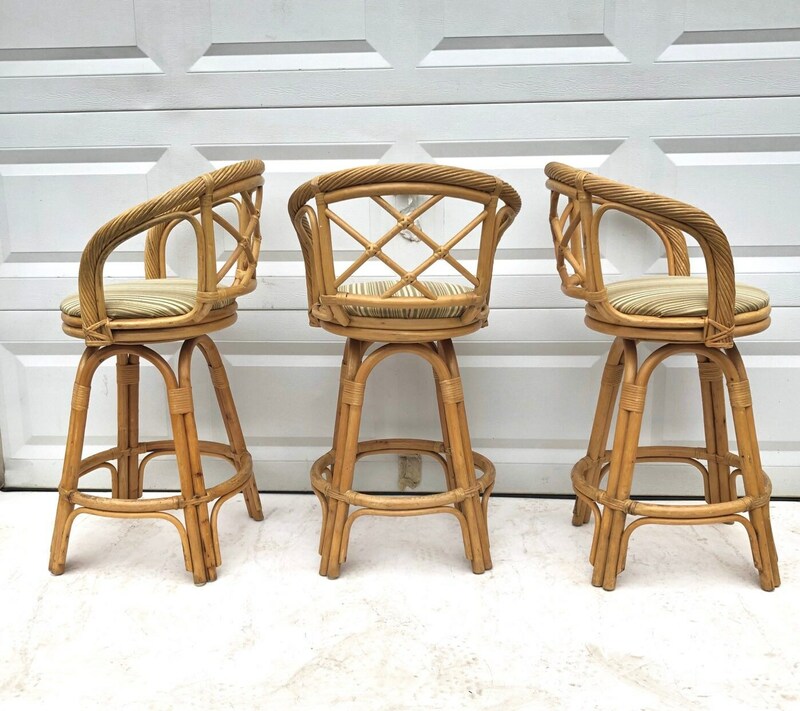 Swivel bar stools make a boho statement in any setting. 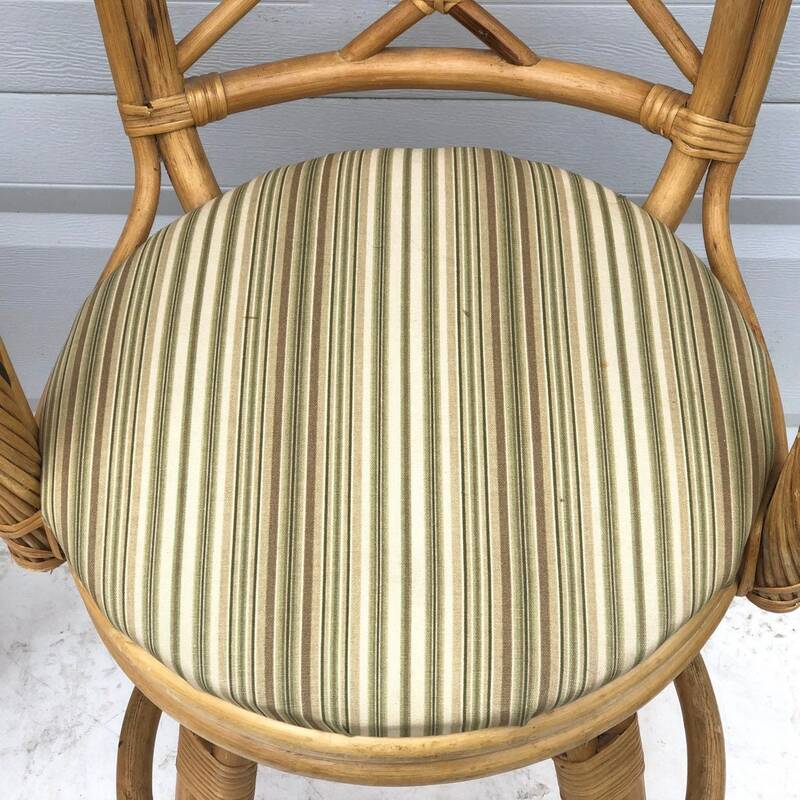 Condition: some age appropriate wear, vintage finish worn in areas, some scuffs/edge wear, some stains to fabric, kick marks, dings. 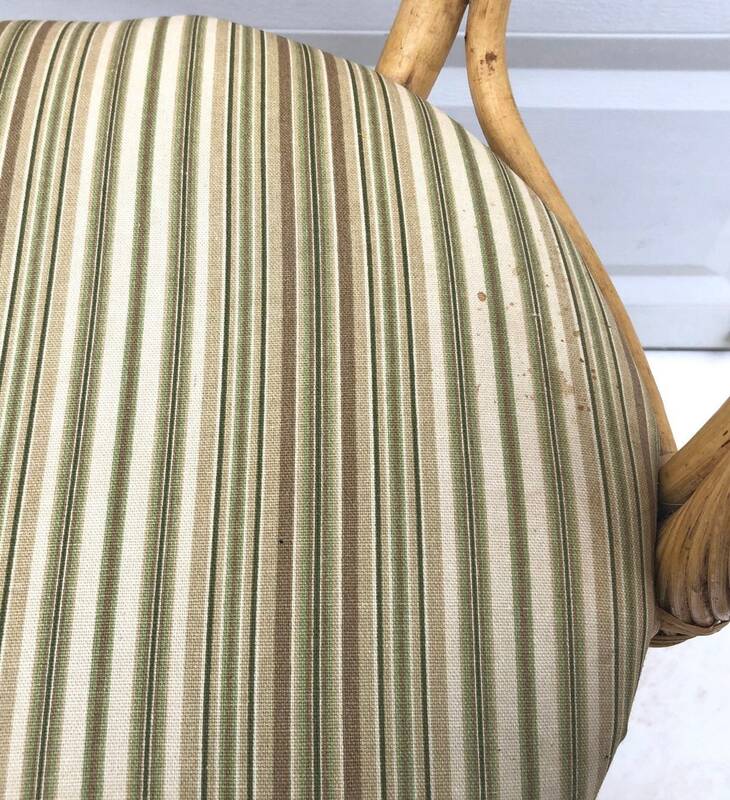 Shipping: shipping quoted is a PLACEHOLDER- Message with Zip Code BEFORE purchase to confirm shipping cost.